Give us any excuse to re-live our fondest childhood memories and you can count us in! 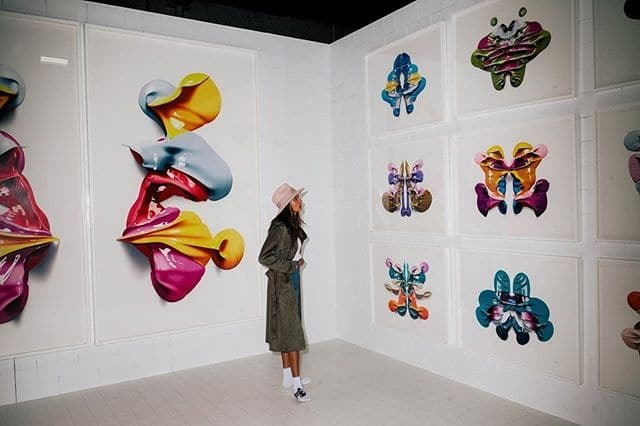 There’s a new exhibit in Dumbo and it’s everyone’s favourite kind… interactive! You might have heard about the touring inflatable theme park that’s coming to the city in the summer, but if you’re already itching to throw your shoes off and jump on a bouncy house to your heart’s content, then New York based artist Cj Hendry’s latest art piece; RORSCHACH is where it’s at. 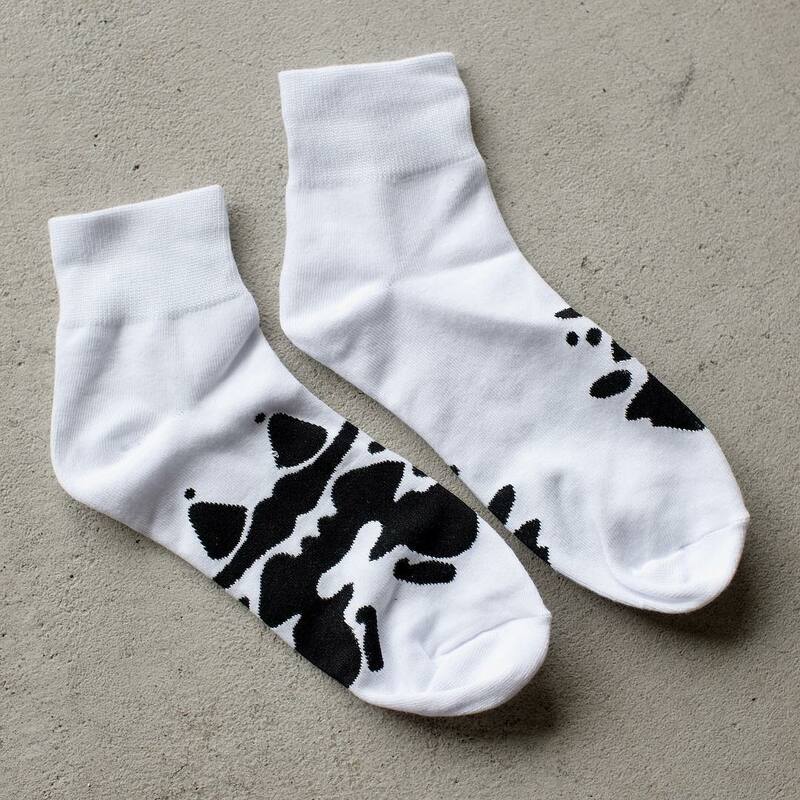 Upon entering, you’ll be given your very own pair of limited-edition RORSCHACH socks to put on as you walk around (online orders available as well). The entire place is padded with white walls, 14 ft tall, eerily resembling one of those mental hospitals you see in the movies. Psychology is a massive component and underlying theme of Hendry’s exhibition (you even receive a white wristband with the text Rorschach Psychological Institute on it to mimic being an admitted patient), as the walls are displayed with her colorful, abstract drawings that juxtapose children’s squish paintings and inkblots (aka Rorschach tests; conducted on patients in order to figure out personality characteristics and emotional functioning). This solo exhibit is the last time you can catch this concept/body of work before it closes in about a week, so make sure you experience it for yourself!